Most marketers would agree that one of their biggest challenges is creating and maintaining enough relevant content day after day. 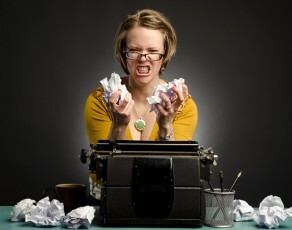 Feeding the insatiable appetites of a weekly blog, Facebook, Twitter, enewsletters, Google+ and other outlets isn’t easy. And it’s not enough to have a lot of content; it has to be high-quality content. Marketing professionals ranked professional-level writing and truly custom content as the top two attributes they look for in outsourced content, according to a recent survey by Brandpoint and CMI. So how do you get quality plus quantity? If you decide to outsource (which Sunil Rajaraman recently discussed), you need to find trusted contractors who can reliably deliver content that speaks in your voice and captures your goals. Here are a few suggestions for how you can make sure you get the best possible work from the freelance writers you choose to work with when outsourcing your content. First-rate freelancers want to write knowledgeably and have enough context so they can produce content from your perspective that fits with the rest of your marketing plan. Good freelancers should ask you about your audience. You can’t write an effective piece of content until you know whom you are writing for. Be prepared to give them specific details about the kinds of readers — customers, clients, potential clients — you want to speak to. The result will be targeted content that resonates with your key constituencies. This one may sound obvious, but if freelancers don’t work in your industry, they may not be aware of certain blogs or websites that are mandatory sources of information. Letting them know who your important competitors are, providing a list of significant websites, the names of thought leaders in your industry, and perhaps some specific, relevant articles related to the topic could be a tremendous help to an outside writer. You don’t need to provide all the research — a good contractor will do some of their own exploration. But if you give them solid resources at the very beginning, they can more quickly and accurately deliver better, more informed content that doesn’t sound generic. Working with someone outside the company provides you with a golden opportunity to get an “outside-in” perspective on your message. Some of the ideas that you and your colleagues take for granted may be confusing for an outsider, including potential customers. For instance, a garden products company may assume that its readers have a basic level of knowledge about how to care for a lawn, when in fact, they may not. Writing blogs with elementary step-by-step instructions might seem too rudimentary to the professionals, but these posts could be very popular with general readers. Let your freelancer help you identify where you can refine your message and make it more clear and compelling for your intended audience. Respect and courtesy will cultivate a loyal relationship. Your freelancer will work harder, and go out of the way for you if they believe they are an appreciated and integral part of your team. Good relationships with your freelancers will save you time in the long run; once a writer gets to know you and your brand, he or she can take your ideas and run with them, and provide good ones also. This has the wonderful double benefit of reducing your workload and making you look good at the same time.